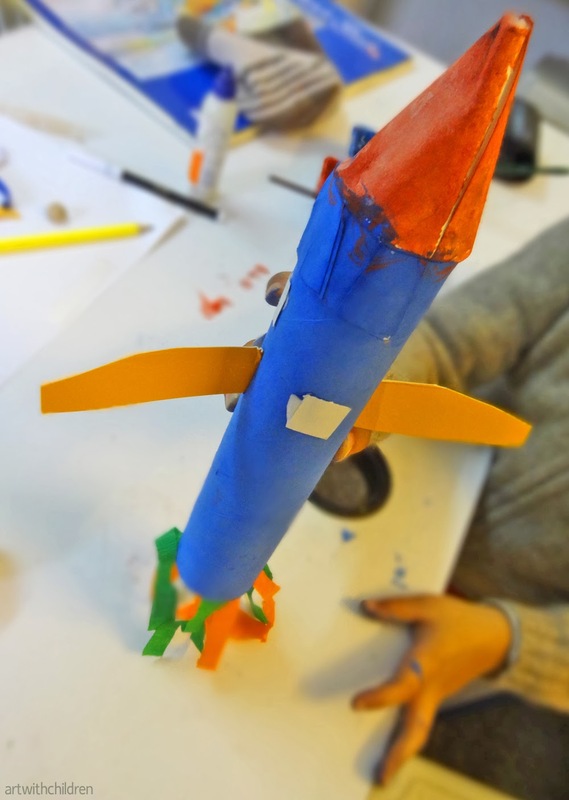 'Today I'm going to make a rocket' said, Shrehan and he sat down ready to start making one!!! Although we were about to continue with the on going fairyland project (during the last week of January), we decided to find some material digging into our recyclable stuff. He settled down with a long cardboard roll and needed help with the sticking! He chose colors and painted it meticulously! Look at the flag colored trails he has used at the bottom!! He explains that he remembered the trails of colored smoke during the spectacular flypast on the Republic day! It looks GREAT! Isn't it?! Amazing work for a 5+ year old!! 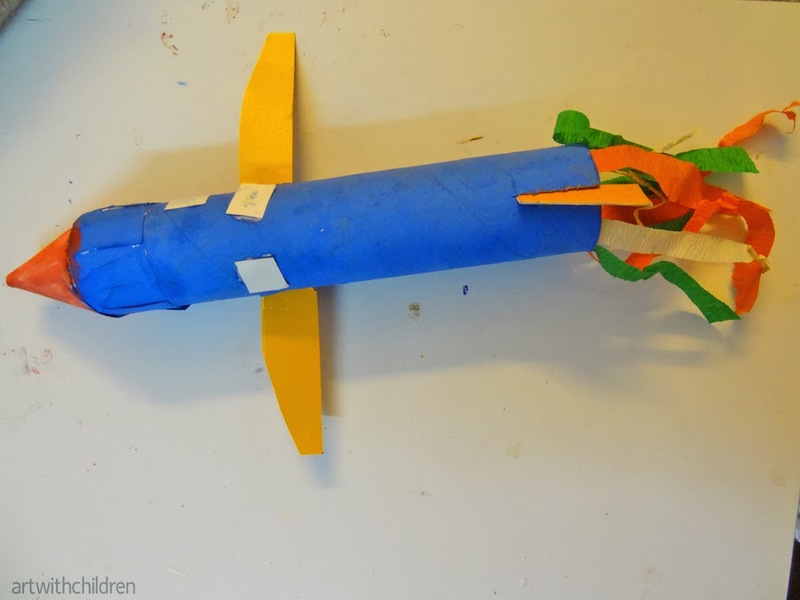 We used a long cardboard roll (foil paper cardboard roll), some card stock, tri-color crepe paper for the smoke trails, paints and glue.